South Kilburn Granville New Homes forms part of the large scale regeneration of South Kilburn by Brent Council to provide thousands of new homes and improve local spaces and services in north-west London. Brent Council were keen to involve local residents in the regeneration process and initiated a resident steering group to work with in the development of 140 new homes of mixed tenure, the re-provision of the Tabot Youth Centre and the creation of a new pocket park. 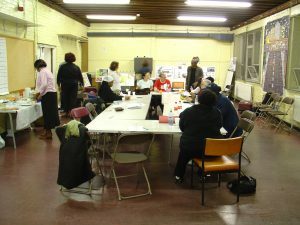 The Glass-House was invited to support the resident steering group, local NDC and Brent Council staff with a series of learning and training activities, and to provide independent advice and enabling. 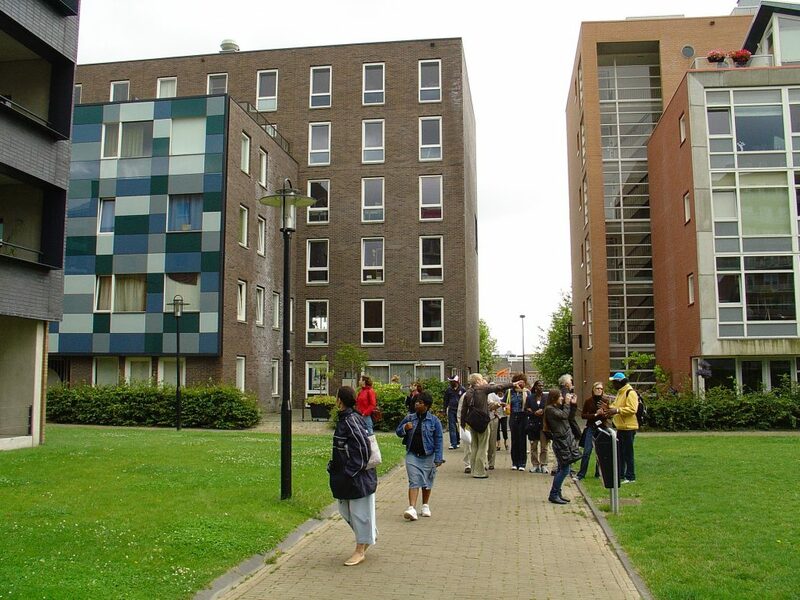 In a pilot project for our long-established Study Tours, we developed a study visit to Holland for the resident steering group and Brent Council to learn from, and be inspired by, contemporary European architecture. The visit generated innovative design ideas which can be seen in the finished housing that was developed. We also delivered a series of hands-on workshops to help the resident steering group better understand the design and planning process and gain a range of technical skills and knowledge (in design, engineering, legal and contractual issues) to contribute to the process. The group played an active and informed role in the selection and briefing of the appointed project architects, Levitt Bernstein. They became ambassadors for the project, helping to demystify the whole process for the wider community in the wider engagement that took place (e.g. public exhibition of scheme designs). A great example of community participation rather than consultation, this project illustrates what can be achieved if the community are involved rather than just asked. Residents moved into their new homes in 2010 and feedback has been overwhelmingly positive. Residents involved in the design process are still passionate and articulate advocates for a collaborative approach to how local authorities undertake regeneration and provide new housing for local people. Since its completion, Brent Council along with Brent Housing Partnership and GNH residents have welcomed community groups and housing professionals on series of study visits organised by The Glass-House to learn from this exemplary project. These have included a group of planning and design officers on a visit from Korea to learn from UK good practice. Granville New Homes has been widely acknowledged for the quality of its design (e.g. CABE case study). 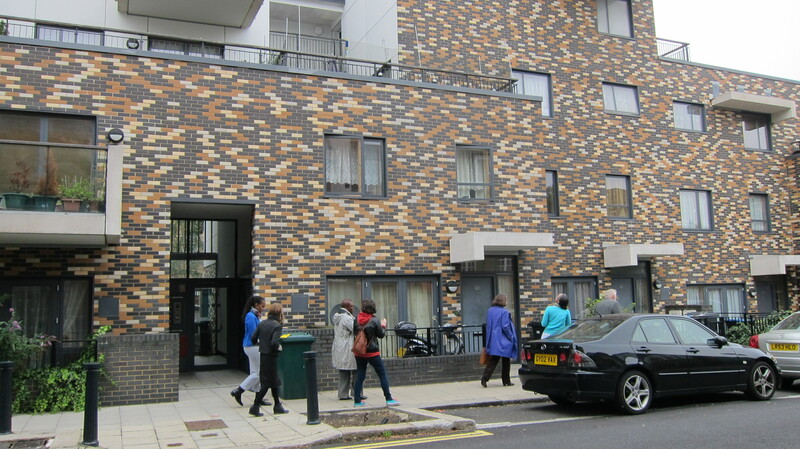 The development by Levitt Bernstein architects won a 2009 Building for Life Award and was shortlisted for the Housing Design Awards 2006, RIBA Sustainability Award 2006 and RIBA Awards 2010. 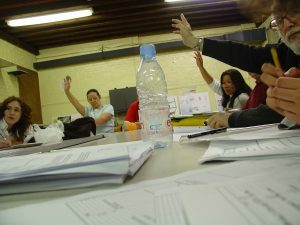 Robert continued to champion a participatory approach to regeneration in his work with Brent Council. In 2014, Robert joined The Glass-House Board of Trustees where he contributes his wide-ranging expertise in local government and development processes to our strategic direction.